A comprehensive account and frank assessment of federal involvement in education is long overdue. Education policy expert Vicki E. Alger remedies this deficiency with her book, Failure: The Federal Misedukation of Americas Children (Independent Institute, 2016). Federal involvementwhether related to testing, funding, or academic curriculahas failed to abide by the Constitutions implication that education must remain the domain only of state and local governments and private institutions. Most of all, the central governments pervasive meddling in education has failed Americas school children and their parents. Education policy has long been mired in controversies, often with opposing sides missing the mark. Failure helps us step back from the skirmish du jour and redirects our focus to the big picture, showing us whats gone wrong over the decades and the institutional causes of these failures. It also offers a bold blueprint for returning the federal government to its constitutional role and for cultivating an educational system that meets the needs of students and parents, rather than bureaucrats. Concerned citizens of every stripe will benefit from Failures history of federal education policy, its brutally honest report card for the Department of Education, its look at education systems across the globe, and its ambitious policy recommendations. 6. Has the U.S. Department of Education Kept Its Promises? The US Department of Education has failed to reach nearly every meaningful goal its advocates had promised in 1979 when the agency was created. It has failed to improve academic performance. It has failed to provide better management of federal education programs. And it has failed to allow state and local governments to chart their own course. The department has, however, lived up to one promise: it has secured educations status as a national activity. Consequently, education policy has become more contentious and politicized. Despite huge increases in federal involvement in education, student performance in the United States has remained stuck at average levels since the late 1960s and early 1970s. Results from the long-term National Assessment of Educational Progressa.k.a., the Nations Report Cardshow no meaningful improvements since before the federal Department of Education was created. A 2013 study of federal No Child Left Behind mandates found that just one-third of all students were proficient or better in math (35%), while around one in five low-income and minority students scored proficient or above (21%). States tried to meet the federal mandates by lowering their proficiency standards and passing scoresjust as they had done in the late 1980s in response to mandates for obtaining federal funding. Bitter disputes between the federal government and the states are unavoidable so long as the feds are involved in education. Those who opposed the creation of a federal Department of Education turned out to be prophetic. No Child Left Behind, Race to the Top, and Common Core demonstrate that even when the agency gives the states flexibility to implement federal programs, compete for federal dollars, or meet national standards, the cost for them to pursue independent educational objectives can be prohibitive. A key remedy for improving school performance is one that many in the educational establishment staunchly oppose: school competition and parental choice. International comparisons reveal that schools that compete for students outperform schools that do not. Close to three-fourths (72%) of the nations that performed as well or better than the United States on international assessments have higher proportions of schools competing for students. Parents in nine-tenths of those countries have more freedom to choose their childrens schoolsboth public and privatethan American parents. For nearly 100 years the federal government left education almost entirely in the hands of state and local governments. Gradually, however, federal restraint gave way, culminating in 1979 with the creation of the US Department of Educationa sprawling bureaucracy with more than 4,000 employees, over 100 programs, and an annual budget of approximately $70 billion. What caused this dramatic transformation? Has it improved student performance? And how can we best ensure that Americas schoolchildren will get the education they need for thriving in an increasingly technological, competitive global economy? 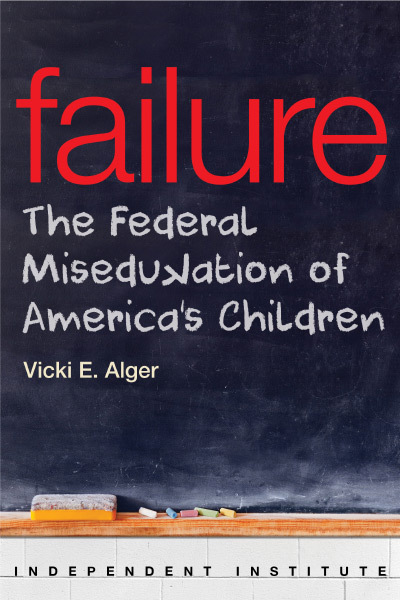 Education reform expert Vicki E. Alger takes up these questions in Failure: The Federal Misedukation of Americas Children, an in-depth look at federal education policy that will both enlighten and enrage. Federal involvement in education, Alger shows, has been an epic failurea failure of myriad ineffective educational programs, a failure of massive wasteful spending, and a failure of the Department of Education to be a partner with state and local governments, rather than a boss. Fortunately, her rigorous assessment enables Alger to identify and articulate the best strategy for successnamely, decentralizing education policy by ending federal involvement, returning power to state and local governments, and implementing parental choice. We can fully understand the federal governments involvement in education only by tracing its history. In Part I, Alger chronicles that development, from the nations founding to the creation of the Department of Education, placing special emphasis on changes in attitudes about the federal role. Prior to the mid-1800s federal involvement in education was marked by restraint. Although Congress and presidents tried repeatedly to change the governments role, all agreed this would require amending the Constitution. But two profound shifts would help untie the federal government from its constitutional moorings. One shift occurred at the national level, as proponents of a larger federal role began to emphasize its expediency, regardless of its constitutionality; here the Morrill Land Grant Act, signed into law by President Lincoln in 1862, set a precedent. Another shift took place at the state level, as advocates for disadvantaged children began to campaign for compulsory schooling for all; public education activist Horace Mann was pivotal. In 1867 a new stage began with the creation of the US Education Department. Although it was soon defunded and its rank in the federal pecking order would change over the decades, the agency slowly grew. Momentum increased during the Progressive Era, as John Dewey and other intellectuals called for educational reform to promote their vision of social progress. From 1908 to 1975, Congress considered more than 130 bills proposing the creation of a new department of education. By the end of the 1970s, a sprawling collection of more than 300 separate federal programs in more than 40 federal agencies, at a cost of $25 billion, prompted calls for consolidation and coordination under one bureaucratic roof. President Carter made this wish come true by establishing the US Department of Education as the thirteenth Cabinet agency in the federal government. The federal role in American education was at last made securea status confirmed by President Reagans failure to eliminate the department during his tenure. Reagans task force urged only that the agency be downgradeda recommendation that failed to win the necessary support in Congress. Subsequent administrations talked about education reform, but none ever considered scaling back the Department of Education. In 1989, President George H.W. Bush convened the nations governors for a national education summit, from which came six goals that would be enshrined in his America 2000 legislation in 1992. Congress defeated the bill, however, with Republicans opposing its national standards and Democrats objecting to vouchers. Despite the legislative impasse, federal education funding grew significantly under Bush. In spite of the longstanding prohibition against federal control of schools' or states' educational curricula and assessments, President Clinton revived and renamed America 2000 as Goals 2000. Coupled with massive funding, Goals 2000 was an offer the states couldnt refuse. Republicans and Democrats in Congress now vied with one another over who supported the most generous increases in federal education spending. President George W. Bushs biggest contribution to education policy, No Child Left Behind, further strengthened the federal hand vis-à-vis the states. Despite its demanding testing, reporting, and choice requirements, studies found that it had not appreciably improved reading or math performance. The federal grip on education has further tightened during the Obama presidency, through the administrations promotion of Race to the Top and Common Core standards, and insistence on waiver authority. In Part II, Alger offers a report card of the Department of Education, comparing its performance with its original goals. The results are sobering. On nearly every count the department has fallen short: Wasteful spending is rampant. Strings attached to federal funding have caused a political tug-of-war with the states. And American students have made little or no progress in reading, math, and science; compared to their peers in other countries, their academic performance is still average. 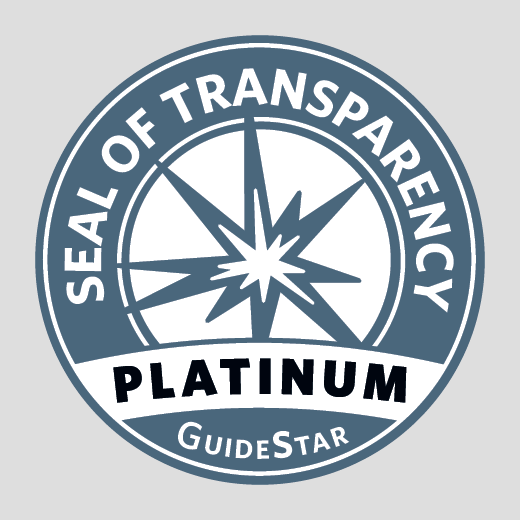 How do the worlds top performing school systems operate? Alger looks at schooling in Australia, Belgium, Canada, Chinese Taipei, Germany, Hong Kong, Hungary, Ireland, Japan, Korea, Macao, the Netherlands, New Zealand, and Singapore, focusing on institutional structure, national curriculum, national assessments, school autonomy, and parental choice. Two traits they share are a high degree of decentralization and a high level of competition among schools for students. At a time when American political leaders insist we must prepare students for an increasingly competitive global economy, it makes little sense to preserve a status quo that shields schools from competitionand success, Alger writes. In Part III, Alger spells out a plan for decentralizing education, refunding tax revenue to the taxpayers, and returning the federal government to its constitutional role. She begins by articulating the core principle to guide such efforts: End, dont mend, federal involvement in education. Abolition is essential because, Alger explains, a dysfunctional relationship between the feds and the states is virtually guaranteed in a system that was never designed to accommodate federal involvement in education. The failure to grasp the federal governments inherent limitations dooms even policies designed to give the states greater flexibility to meet federal goals, such as block grants, free rein for states to compete for federal dollars, financial incentives to achieve national standards, and national education tax credits or voucher programs crafted in Washington, DC. How should abolition proceed? Alger would start with the immediate elimination of 19 non-program offices and divisions within the US Department of Education. This would generate savings of about $14 billion, which would be returned to individual taxpayers as a federal income tax reduction. Also, taxpayers would determine which, if any, programs would be preserved at the state level, resulting in a more constructive approach to education policy. Alger then shows how we might dismantle the Department of Education brick by brick, offering specific recommendations for each of the 125 educational programs administered by the US Department of Educations Office of the Secretary, Office of the Deputy Secretary, and Office of the Under Secretary. As noted, parental choice has played a significant role in the success of top-performing students on international tests. Alger reviews parental school choice programs in the United States, from Californias Alum Rock program in the 1970s to the federally funded DC Opportunity Scholarship program, as well as state tuition tax credits, privately operated public charter schools, and educational savings accounts (which decouple government financing and school management).